Playing opposite mulit-talented actor Zac Efron as Anne Wheeler is another fast-ascending young star, Zendaya in the big screen musical “The Greatest Showman” along with Hugh Jackman, Michelle Williams, Keala Settle and Rebecca Ferguson. “The Greatest Showman” is a vibrant and engrossing “rags-to-riches” story about a man who achieved the impossible, through determination and the sheer power of his vivid imagination. A pioneer who invented the Big Top, P.T. Barnum (Hugh Jackman) is considered to be the original showman. The Oscar-nominated, Golden Globe and Tony Award winner brings the impresario and entrepreneur to life and we follow him as he launches his circus, ultimately revolutionizing entertainment. Michelle Williams delivers a wonderfully nuanced performance as Barnum’s wife, Charity, while Rebecca Ferguson gives a scene-stealing turn as the iconic 18th-century opera singer Jenny Lind, known as the ‘Swedish Nightingale’. With original songs by Benj Pasek and Justin Paul, the Oscar and Tony-winning songwriters behind La La Land, the movie was directed by the exciting new filmmaker, Michael Gracey. Though much of The Greatest Showman is drawn from the outlines of P.T. Barnum’s life, two fictional characters bring in fresh points of view: Zac Efron’s Phillip Carlyle, the sophisticated man of the theatre who quits his upper-crust life to join the circus – Barnum’s ringmaster protégé; and Zendaya’s Anne Wheeler, the daring, taboo-breaking, pink-haired aerialist for whom Carlyle falls headlong. 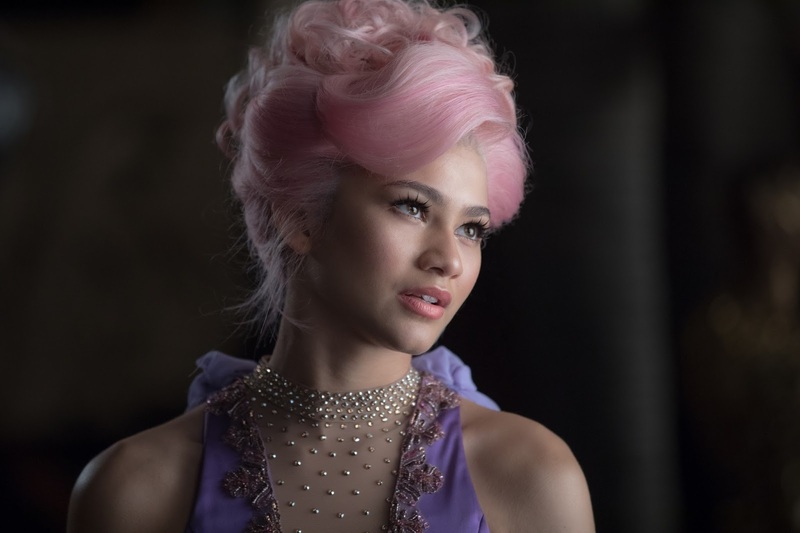 Zendaya dove into training, spending months working with professional aerialists, gaining upper body and core strength and taming fear. “My body has been through a lot, and I’ve had lots of bruises and soreness to show for it,” she laughs, “but it’s been so worth it, especially seeing Michael’s vision come to life. I never in my entire life thought that I would be flying around in the air but I’m very proud of myself, because I tried my best and came way out of my comfort zone. Now, I’m no longer afraid of heights!” Naturally, Zendaya looked forward to the singing and dancing, one of her life’s own great passions. She especially loved working with Keala Settle in the song “This Is Me.” “I know there are young women and young men out there who need to hear that message – to hear that even if I’m bruised, I can be brave and I’m who I’m meant to be. I found the words really cool,” she says. “The Greatest Showman” opens January 31 in cinemas nationwide from 20th Century Fox to be distributed by Warner Bros.